I am so very honoured and grateful for this opportunity to meet and update on my work and hopes for the future. When campaigning whilst caring for my wonderful mum Joan, I was so very honoured to meet back then on quite a few occasions, to share the letters that I received and our personal experiences of Mum living with dementia and my own as a full time Carer. I am so very Grateful for this opportunity to meet again,update on all that has happened since, and share my hopes for the future. 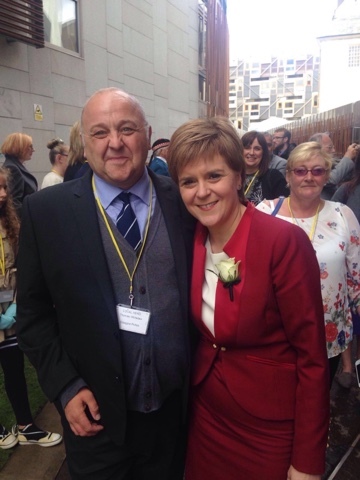 Thank you First Minister for this kind opportunity.